Location: On the south side of the house and part of the important group of estate buildings surrounding Insole Court. 1855, by W G & E Habershon for J H Insole. 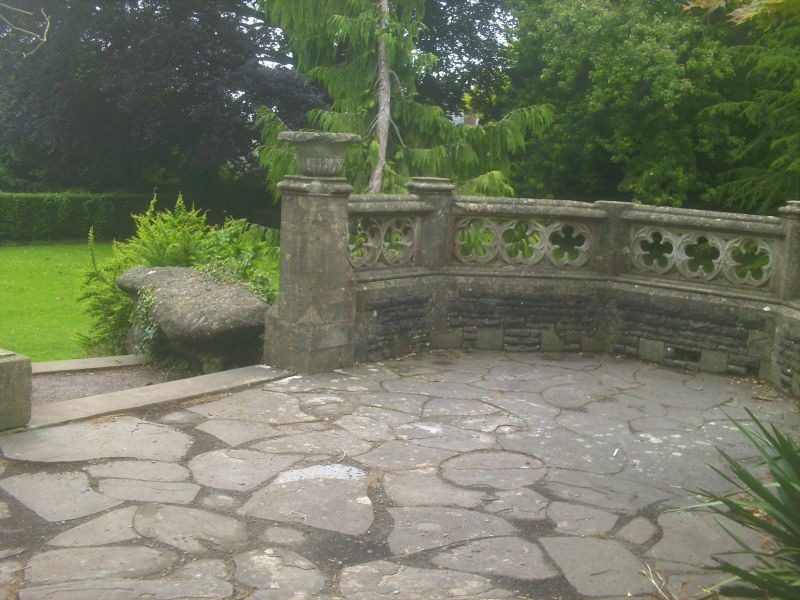 This part of the terrace is centred on the original build of the house, ''The Court'' now known as Insole Court. At edge of terrace to south of the house, a wall in stone surmounted by Gothic balustrading pierced by trefoils and cinquefoils, with roll coping. Stone plinths with urns at ends and flanking flight of steps leading down from the terrace in centre of west side. Included for group value as part of the garden and estate buildings of a significant Victorian mansion with a chequered history.